EB Horsman Product Profile: 3M Fire Barrier Now In Stock! 3M Fire Barrier Now In Stock! 3M is proud to be the industry leader in firestopping. Their dedication to stringent testing and code developments help make buildings safer today than they were even 10 years ago. And when that dedication is backed by a brand as powerful as 3M, you get what you would expect – proven reliability and outstanding service. 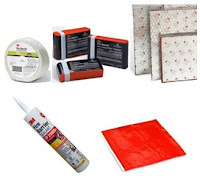 We stock the 3M Fire Barrier products that you demand! Lightweight packing material to be used with through-penetration firestops. Approved for use in up to 4 hour firestop systems. Interlocking strips hold pillows securely together yet release easily for retrofit or reuse – just remove and replace pillows as needed. ducts, buss ducts and cable trays. Non-slumping silicone with up to 3-hour fire protection. Self-leveling silicone with up to 3-hour fire protection. Designed to firestop a wide variety of through penetrations, including: cable, conduit, insulated pipe and metal pipe.